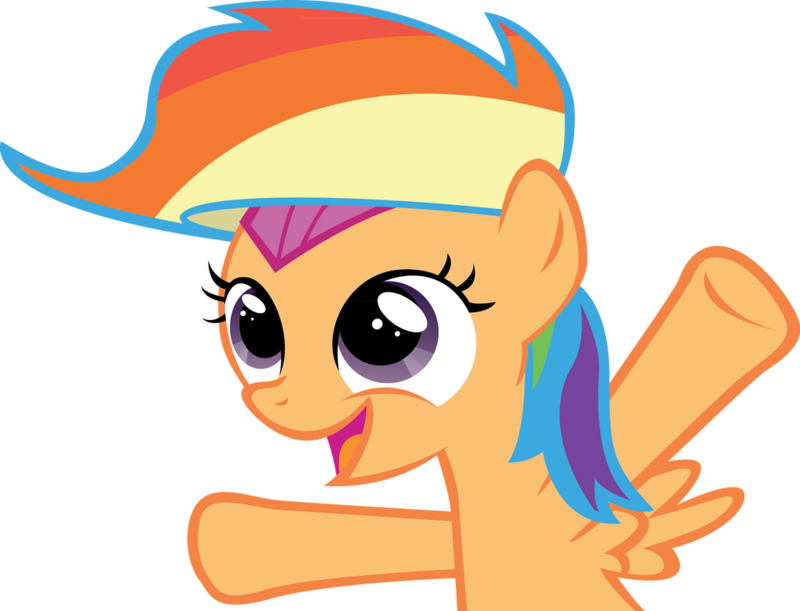 Welcome to the Rainbow Dash Fan Club! Here, we can discuss about, love, and praise the most energetic and athletic Pegasus! Although she loves action and thrill, and has a lot of confidence, she is very loyal to her friends. 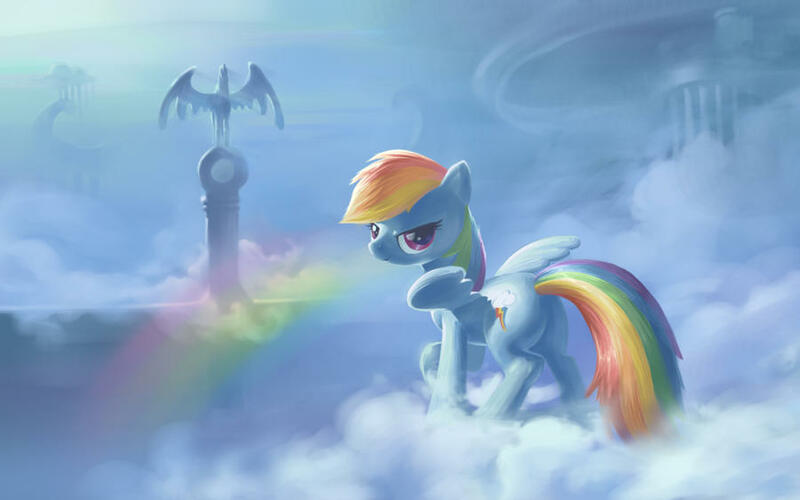 Feel free to post pictures, videos, and/or comments about Rainbow Dash. ☆ Please keep in mind what Fan Club this is. 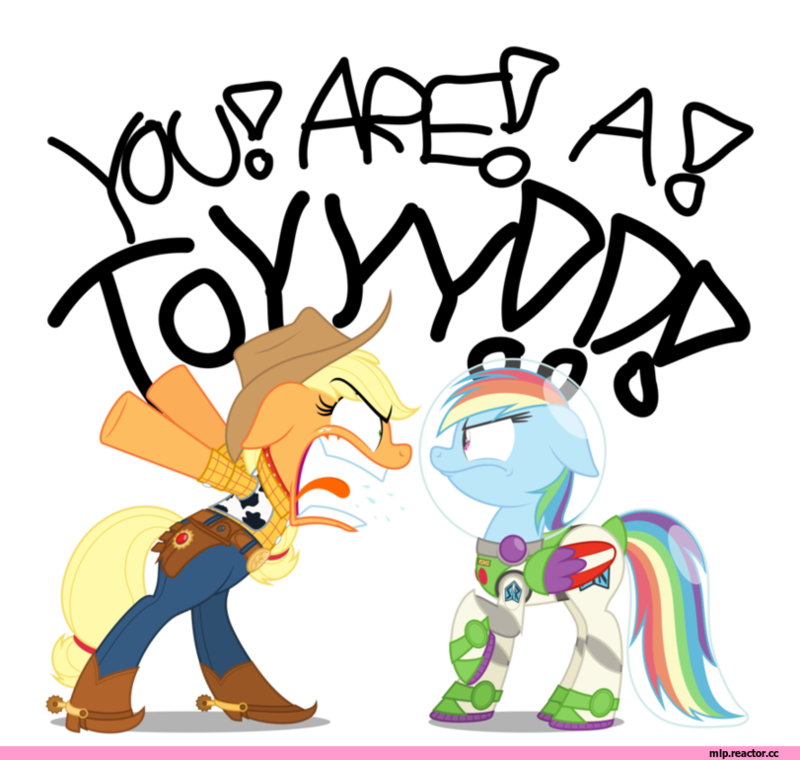 So please, don't make a Derpy post, for instance, unless it has Rainbow Dash too. ☆ This is a Fan Club, not Hate Order. 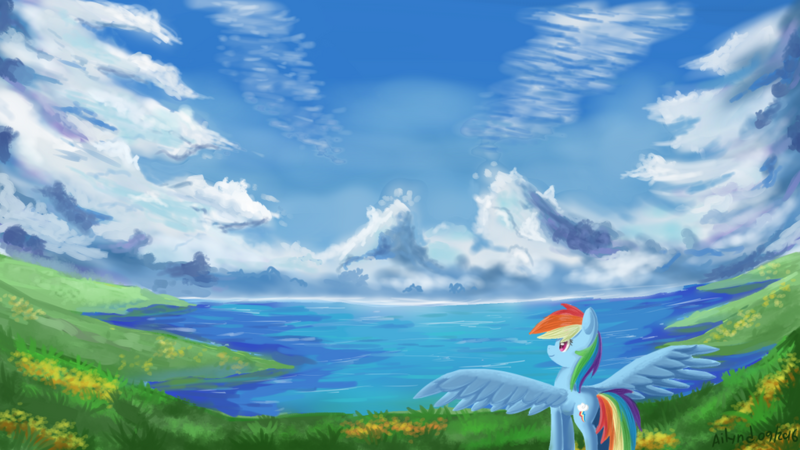 If there is something not-exactly-nice you have to say about this place, Rainbow Dash, or virtually anypony or anything, then please keep that at bay. 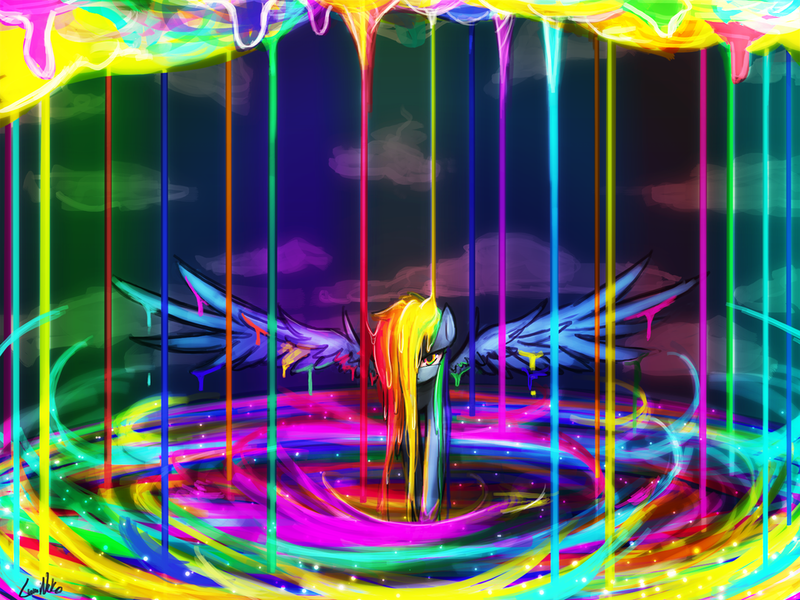 I think this is my favorite Rainbow Dash picture. I think this section is the cooler. 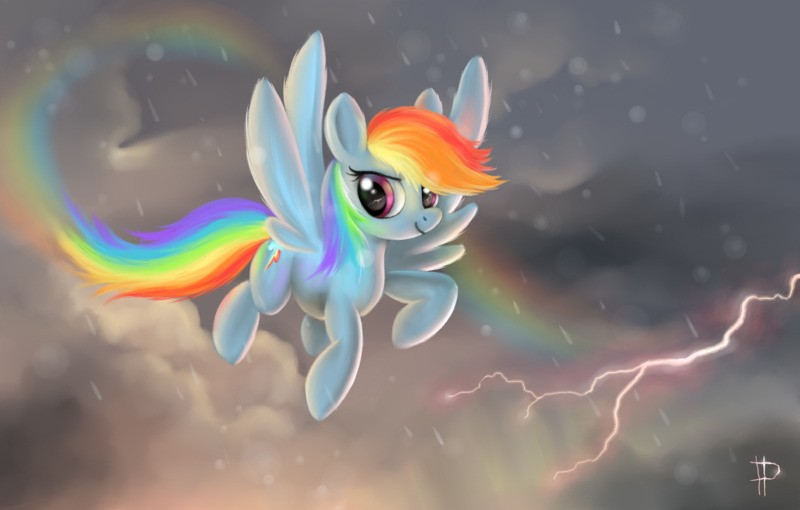 Here are two of my favorite Rainbow Dash fan videos. 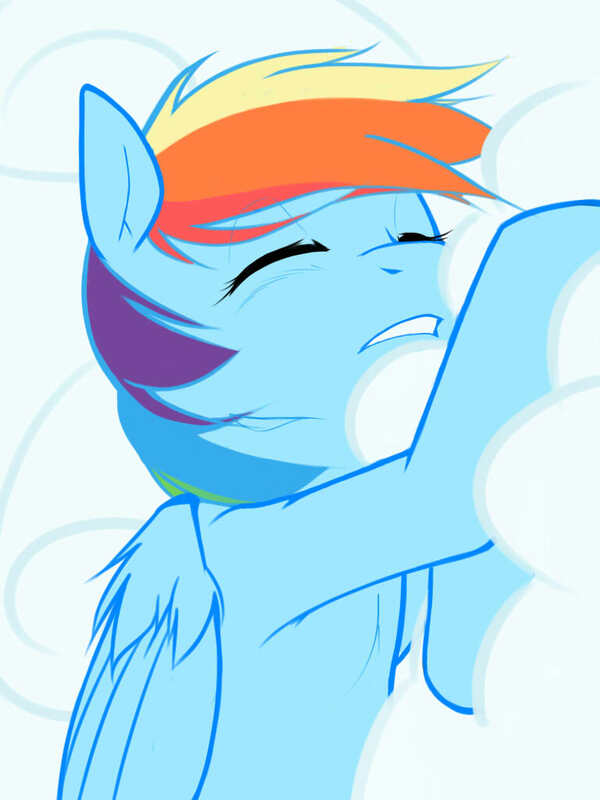 I can feel the morning fresh air in cloudsdale. She's had her moments as well. As well as her funny moments. She makes everything 20% cooler. lol. 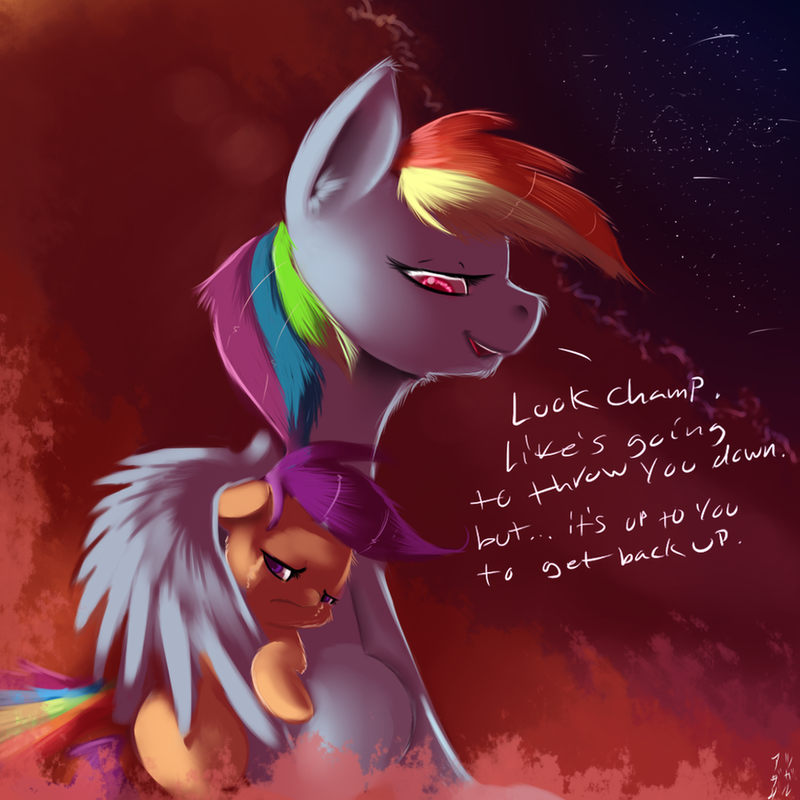 I felt I needed to share this with the EQD Forums, too. This kind of image enjoy my day, really ! Sometimes, hotheads have a heart of gold. 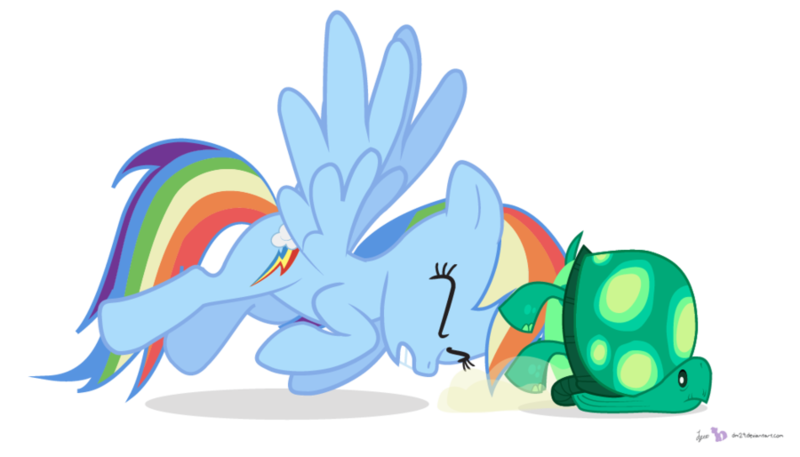 I really want more episodes of Rainbow Dash and Tank. 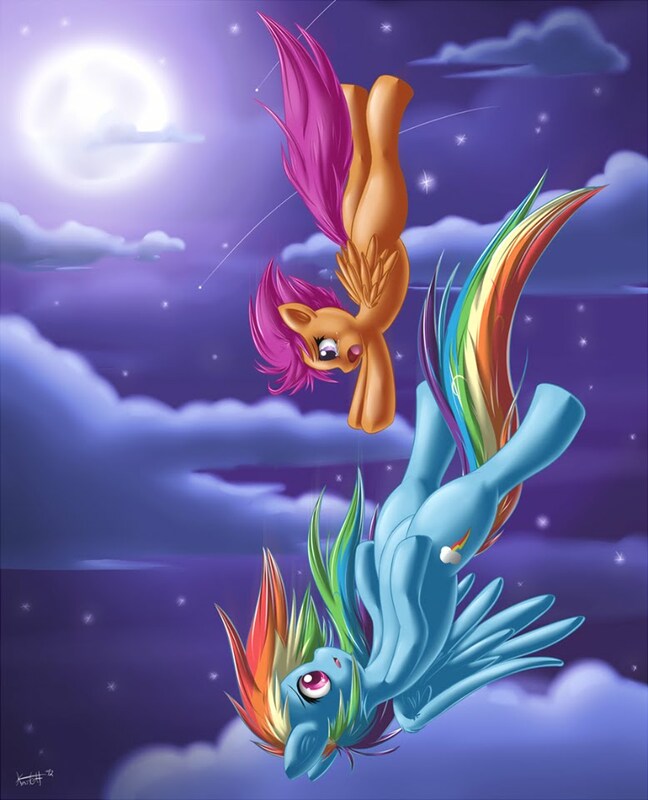 I want their relationship to develop, and I want them to do some cool flying together. 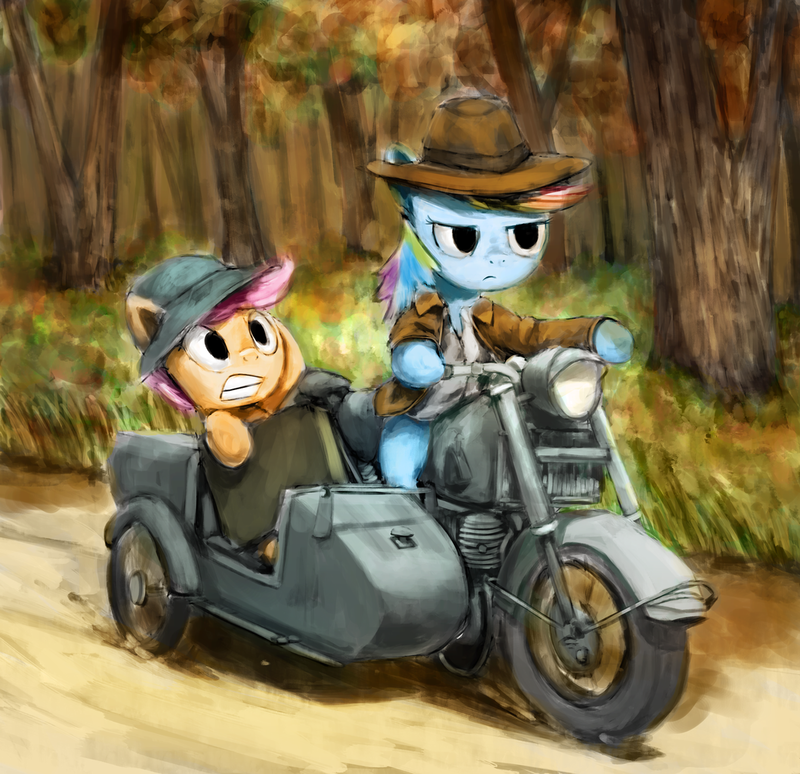 More so for Dashie and Scootaloo. 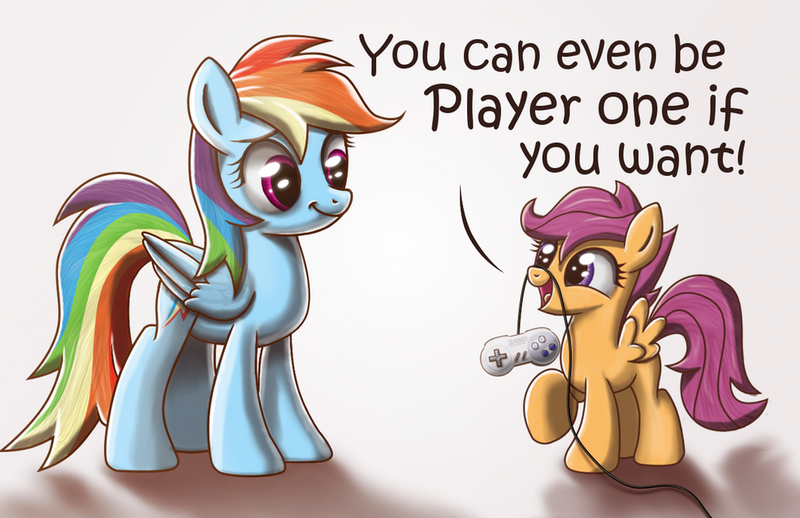 If I had to choose, I'd rather see more Rainbow & Scootaloo episodes, honestly. 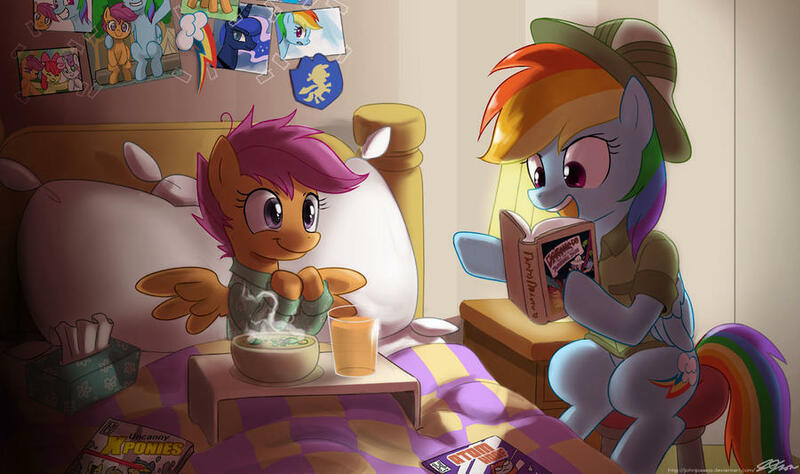 I just feel that Rainbow Dash & Scootaloo team ups have more story possibilities, y'know what I mean?